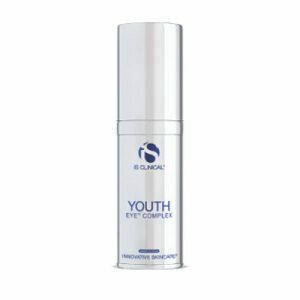 Our potent multi-functional eye cream targets dark circles and reduces other visible signs of ageing such as puffiness, fine lines and wrinkles. Vitamin K helps strengthen leaky capillaries that contribute to the look of dark under eye circles. Lactobionic Acid, a potent antioxidant, helps prevent collagen breakdown and builds skin’s matrix, smoothing lines from the inside so skin appears firmer and less puffy. Green tea and cucumber extracts reduce puffiness and soothe the eye area. Fragrance-Free. Dye-Free. Paba-Free. Ophthalmologist tested. 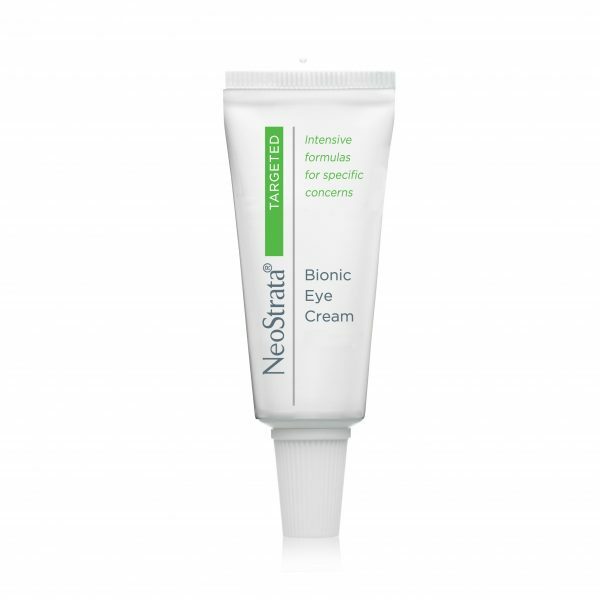 Formulated with 3% Gluconolactone, 1% Lactobionic Acid, Vitamin K, Pro-Vitamin A and Vitamin E.
Our potent multi-functional NeoStrata Bionic Eye Cream Plus targets dark circles and reduces other visible signs of ageing such as puffiness, fine lines and wrinkles. Vitamin K helps strengthen leaky capillaries that contribute to the look of dark under eye circles. Lactobionic Acid, a potent antioxidant, helps prevent collagen breakdown and builds skin’s matrix, smoothing lines from the inside so skin appears firmer and less puffy. Green tea and cucumber extracts reduce puffiness and soothe the eye area. Formulated with 3% Gluconolactone, 1% Lactobionic Acid, Vitamin K, Pro-Vitamin A and Vitamin E.
Gently apply product to the area around the eye until cream disappears. Use twice daily or as directed by your skin care specialist. Daily use of a sunscreen with this product is recommended. Aqua (Water), Octyldodecyl Neopentanoate, Butylene Glycol, Gluconolactone, Cetyl Alcohol, Glyceryl Stearate, Propylene Glycol, PEG-75 Stearate, Glycerin, Lactobionic Acid, Phytonadione (Vitamin K), Dimethicone, Triethanolamine, Retinyl (Vitamin A) Palmitate, Tocopheryl (Vitamin E) Acetate, Panthenol, Camellia Oleifera (Green Tea) Leaf Extract, Cucumis Sativus (Cucumber) Fruit Extract, Sodium Hyaluronate, Ethylene/Acrylic Acid Copolymer, Ceteth-20, Steareth-20, Arginine, BHT, Disodium EDTA, Methylparaben, Chlorphenesin, Phenoxyethanol, Ethylparaben, Propylparaben, Butylparaben and Isobutylparaben.